The post-collegiate, Olympic development club competed in over 20 different cities around the USA in 2015 with competitions in: Greenville, SC, Houston, TX, Clemson, SC, Winston-Salem, NC, Blacksburg, VA, Charlotte, NC, Seneca, SC, Raleigh, NC, Palo Alto, CA, Atlanta, GA, Columbia, SC, Newport, NJ, Des Moines, IA, Nashville, TN, Maggie Valley, NC, New Haven, CT, Stockholm, Sweden, Northport, NY, Minneapolis-St. Paul, MN, Boston, MA, Lake Nona (Orlando area), FL, and San Francisco, CA. Kimberly Ruck set a new course record in winning the Greenville News Run Downtown 5K with a time of 16:32. Teammates Alison Parris and Chris Caldwell were second among women and men, respectively. Ricky Flynn ran 1:04:56 in the USA National Half Marathon championships in Houston, TX, which was a qualifying time for the 2016 USA Olympic Marathon Trials to be conducted in Los Angeles. Kimberly Ruck ran 9:35 to win the women’s 3,000 meters at the Hilton Garden Invitational in Winston-Salem, NC. Kimberly Ruck placed second in 3,000 at the Doc Hale VT Elite meet in Blacksburg, VA with a time of 9:28. Chris Caldwell became only the 5th runner in the last decade to break 55 minutes in winning the hilly Green Valley 10-Mile with a time of 54:43. Kimberly Ruck placed third in the 38th annual TD Bank Reedy River Run 10K with a time of 34:22, winning a total of $750 in incentives. Teammate Alison Parris placed 8th, in her first 10K. Alison Parris won the women’s 3,000 meters (9:52) at the 49er Classic at Charlotte, NC. Teammate Shawnee Carnett was second in the women’s 800 meters (2:12.88). Ricky Flynn won $1,000 as he ran 1:09:18 to win the Seneca Half-Marathon. Kimberly Ruck and Alison Parris ran 16:19.49 and 16:29.99, respectively, in the women’s 5,000 meters at the Raleigh Relays. Kimberly Ruck ran a very fast 33:17 in the women’s 10,000 meters at the Stanford Invitational in Palo, Alto California, which ranked her 23rd in the IAAF World Rankings. Alison Parris led teammates Nicole DiMercurio and Kimberly Ruck to a 1-2-3 sweep of the women’s 5,000 meters at the Georgia Tech Invitational in Atlanta, GA. Parris’ winning time was 16:29.39. Alison Parris ran 27:44 to win the LexMed Heart & Sole Women’s 5-Miler in Columbia, SC and a cash award of $500. She was closely followed by teammate Nicole DiMercurio in second with a time of 27:47 and a $300 award. Ricky Flynn ran 30:13 to place 5th in the 12th annual Newport 10,000 in Jersey City, NJ and eard $350. Kimberly Ruck placed 8th among the women. Ricky Flynn ran 1:05:51 (5:02 per mile) to place third in the 36th annual Dam-to-Dam Half Marathon in Des Moines, Iowa and earned $1,000. He also broke the previous course record. Nicole DiMercurio broke her personal record in the 1500 meters by 16 seconds as she ran 4:28.68 at the GTC’s South Carolina Open & Masters track and field meet at Furman University. Kimberly Ruck ran 4:32.74. Nicole DiMercurio won the women’s 5,000 meters and $500 at the Music City Distance Carnival in Nashville, TN with a personal best of 16:17.68. Teammate Alison Parris was 4th in 16:49. Nicole DiMercurio ran a personal best of 34:02 to place second in the 60,000 runner Peachtree Road Race 10K in Atlanta and won $1500. Alison Parris was sixth with personal best of 35:12. Mark Leininger, a graduate of American University in Washington, DC, joined GTC-ELITE. Mark Leininger and Alison Parris ran to victories in the Michein Memorial 5K in Greenville. Mark ran 14:54 and Alison broke her own course record by 12 seconds with a time of 16:40. They were rewarded with sets of new Michelin tires for their performances. Steeplechasers Dylan Doss and Chelsi Woodruff joined GTC-ELITE with an eye on qualifying for the 2016 USA Olympic Trials in the 3000-meter steeplechase. Doss is a graduate of West Texas State and Angelo State and finished 4th in the NCAA Division II National championship in 2015 and earned All American honors. Woodruff recently graduated from Florida State University, where she earned All-ACC in her speciality event. Mark Leininger and Nicole DiMercurio set new course records in wining the 34th edition of the Maggie Valley Moonlight Run 8K in Maggie Valley, NC. Mark ran 25:08 and Niclole 27:57. Alison Parris finished second among women with a time of 28:24. Kimberly Ruck (3rd female) and Chris Caldwell (4th overall) ran the event as a training run as the group placed 5 runners among the top 11 overall finishers. Mark Leininger placed 33rd at the USA 20K Championshipsin New Haven, CT.
Mark Leininger placed 6th at the Great Cow Harbor 10K in Northport, NY with a time of 30:47. Nicole DiMercurio placed 8th in 35:27. Mark earned $600 and Nicole $400. Alison Parris won the BMW Classic 2-Mile with a new course record of 10:28. Dylan Hassett, a recent graduate of the College of William & Mary, joined GTC-ELITE. 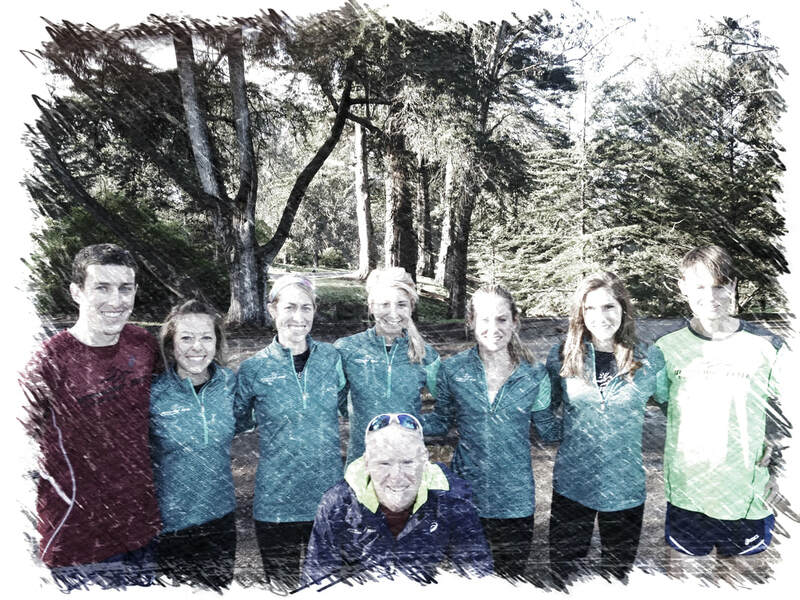 The Road Runners Club of America (RRCA) selected GTC-ELITE to receive one of five $5,000 grants to be used for training toward the 2016 USA Olympic Trials. Alison Parris defended her title at the Benson OctoberFast 5K in Greer on a very wet and windy day. Mark Leininger placed 21st at the USA 10-Mile Championships in Minneapolis-St. Paul, MN with a time of 49:24. Nicole DiMercurio placed 22nd at the USA Women’s 10K Championships in Boston, MA with a time of 34:34. Alison Parris placed 37th with a time of 35:20. Chelsi Woodruff competed in her first race as a GTC-ELITE athlete and won the Spinx RunFest 5K with a time of 17:09. Ricky Flynn returned to racing, after a stress fracture in late May, to win the Historic 5-Mile Governor’s Cup in Columbia, SC with a time of 24:58 over a very hilly course. Nicole DiMercurio won the women’s race in 27:48 with Dylan Hassett placing second in 28:21 in her first race for ASICS GTC-ELITE. Ricky and Nicole each earned $300 for their victories and Dylan won $200. Dylan Hassett placed 2nd at the Lake Nona 15K in Lake Nona, FL, finishing only 10 seconds behind 2014 USA Marathon champion Ester Atkins, to win $2500 with a time of 53:07. Nicole DiMercurio was third with a time of 54:11 and earned $1000. Ricky Flynn was 6th overall with a time of 48:52. 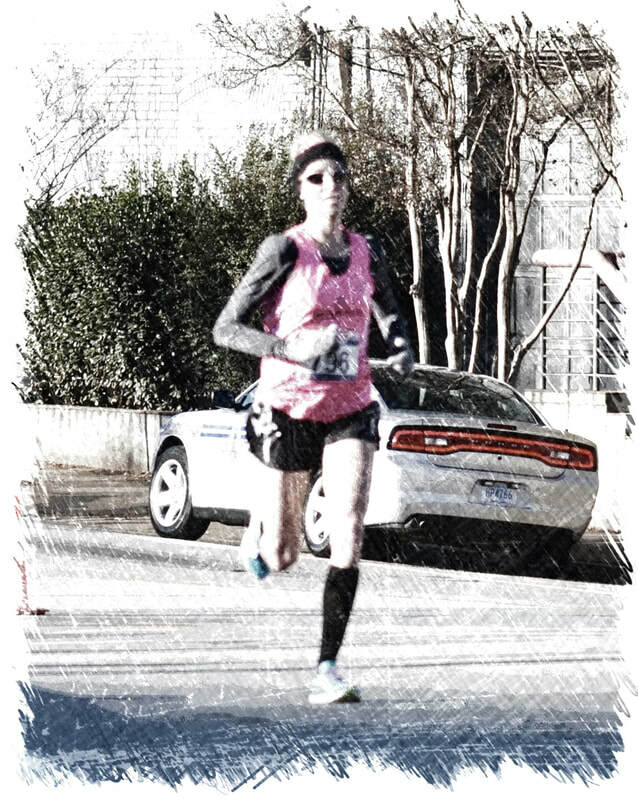 Alison Parris won the TreesGreenville Turkey Day 8K with a new course record of 27:11. Alsion Parris was ranked the number one female in the South Carolina Road Race rankings. 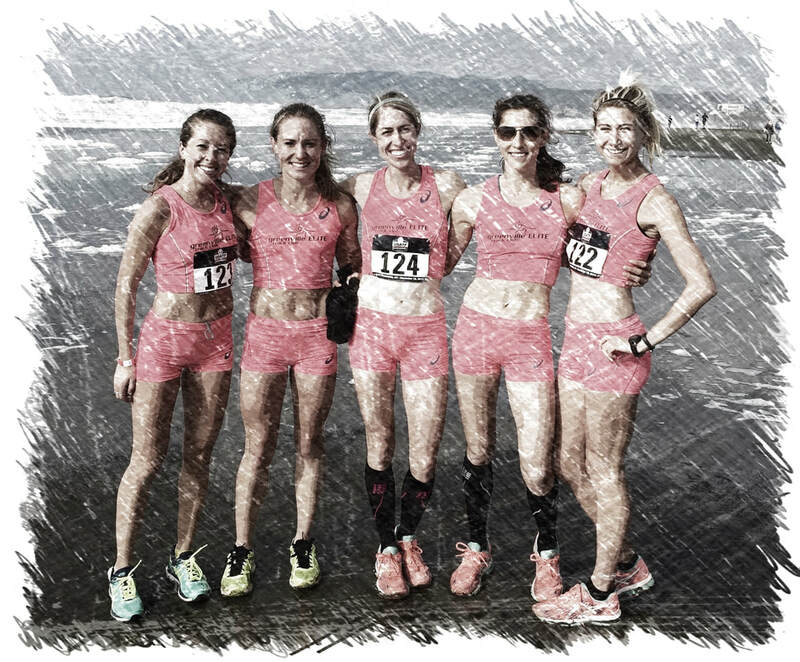 USATF Club XC Championships in San Francisco: The women’s team placed 8th in a field of 41 teams competing over 6K at Golden Gate Park. Dylan Hasset led the effort with an excellent 15th place finish with a time of 20:29. She was followed 11 seconds later by Alison Parris in 26th place (20:40) and Nicole DiMercurio in 43rd (21:00). Chelsi Woodruff placed 81st at 21:43 and Kimberly Ruck completed the scoring with a 154th place (22:46). It was the first time the group has competed as a team in these national championships.